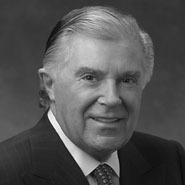 Sidney Kimmel is the chairman and founder of Jones Apparel Group, Inc., one of the world's leading designers and marketers of branded apparel and accessories. Its brands include Anne Klein, l.e.i., and Nine West. Kimmel founded Jones Apparel in 1970 and became its sole owner in 1989. Since 1993, Kimmel has donated more than $495 million to advancing cancer research. Committed to the arts as well, Kimmel was the lead donor to the Kimmel Center for the Performing Arts, home to the Philadelphia Orchestra. More recently, Kimmel made the lead gift for the National Museum of American Jewish History's new home on Independence Mall in Philadelphia.